Toyota Commercial Filmed in New Jersey Celebrating "Back To The Future Day"
Remember that special date that Marty McFly and Emmett "Doc" Brown set their DeLorean time machine to travel to in Back To The Future 2? Well, it's today exactly ... Wednesday, October 21, 2015. To celebrate "Back To The Future Day," here's the Toyota commercial Fueled By The Future filmed in New Jersey starring none other than Michael J. Fox and Christopher Lloyd themselves. The short spotlights the Toyota Mirai and "Back To The Future Day" at the same time. Brilliant idea by the folks at Toyota! And here's a movie clip from Back To The Future 2 (released in 1989) showing Marty McFly as he experiences what life is like on October 21, 2015. Watching it brought me right back to the fabulous '80s and reminded me how much I've loved the Back To The Future series. And yes, I did drive a Toyota back then too. By the way, how accurate would you say the movie's prediction of the future is? Happy "Back To The Future Day"! 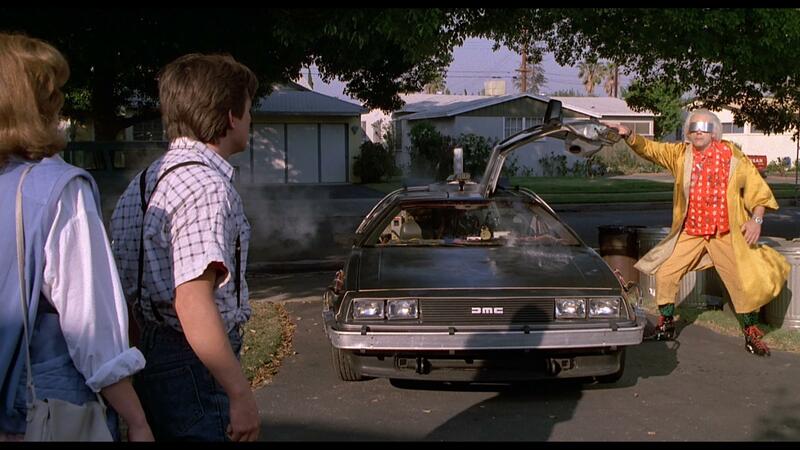 PHOTO CREDIT: Banner image of Back To The Future via Google.